Admire the unique and magnificent birds of Sri Lanka as you explore the island country's most amazing wildlife destinations. This extensive 15-day tour takes you through Kelani Valley, Yala, Sinharaja, Minneriya and Horton Plains National Park. Visit the Sigiriya Rock Fortress, the Cave Temples and an ancient Buddhist monastery. Your Sri Lanka birdwatching and heritage tour begins at Colombo. You will be received at the airport by our representative and taken to your hotel (approx 3.5 hours drive). After breakfast you leave for Dambulla, where you will stay for two nights. The drive to your hotel takes about four hours. In the afternoon, you will visit Sigiriya Rock Fortress, which was the pleasure capital of a king, called Kashyapa in the 5th Century A.D. It is now a national park and biodiversity hotspot that is recognized by UNESCO as a World Heritage Site. The park covers a very small area- about 88 square kilometers, but is home to several rare and endemic species of trees, insects, amphibians, reptiles, birds and mammals. In the morning, you visit Polonnaruwa, another lovely UNESCO World Heritage Site. It was the medieval capital of Sri Lanka. You will get to see the world famous rock-cut Buddha statues of Gal Vihara, and the Parakrama Samudra (‘Sea of Parakrama’), a 2500-hectare man-made reservoir that was built by King Parakramabahu I (1153 –1186 A.D). The capacity of this reservoir is 134 million cubic meters! This area is also an excellent place for birdwatching. The birds that can be commonly sighted here include the Wooly-necked Stork, Sri Lanka Grey Hornbill, Large Cuckoo Shrike and Coppersmith Barbet. In addition you will encounter troops of Toque Macaques, which were famously featured in the BBC’s ‘Temple Troop’ and David Attenborough’s ‘ Life of Mammals’. The Hanuman Langur inhabits the region as well. After lunch, we go on a game drive in Minneriya National Park in search of its Elephants. In September and October, over 300 elephants gather on the receding shores of the Minneriya Tank. Witnessing ‘The Gathering’ of Elephants at Minneriya is truly an awesome experience! After breakfast you depart for Kandy (approx 3 hours drive), where you will be staying for the next two nights. En-route you will visit the Cave Temples, which are famous for their murals and statues. This is the largest and best preserved cave temple complex in Sri Lanka. There are five caves within this complex. They contain statues and paintings depicting various incidents from the life of Lord Buddha. Some of these artworks depict certain Hindu deities and a number of ancient Sri Lankan kings as well. After returning to the hotel, you can spend rest of the day relaxing. 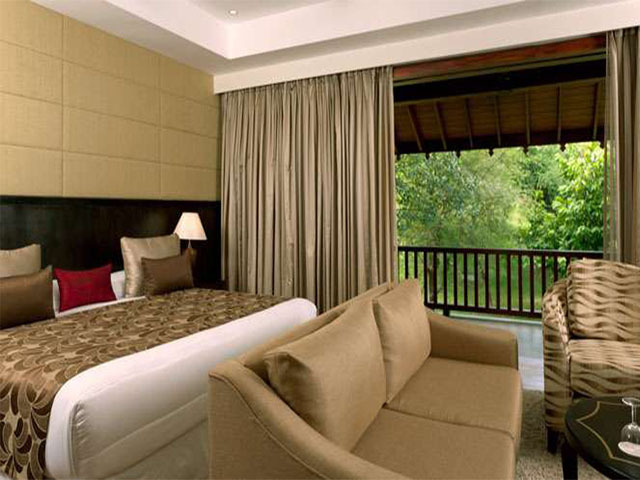 Go birdwatching in the morning along the hotel’s nature trail in Kandy. Keep an eye out for endemics that include the noisy Layard’s Parakeet, Sri Lanka Hanging Parrot, Yellow-fronted Barbet, Crimson-fronted Barbet, Black-capped Bulbul and Brown-capped Babbler. Other forest birds to look out for include the Gold-fronted & Blue-winged Leafbird, Emerald Dove, Tickell’s Blue Flycatcher, Brown-breasted Flycatcher and Chestnut-headed Bee-eater. After lunch you continue birdwatching. More than one type of the beautiful kingfisher is found here, which includes the Stork-billed and Common Kingfisher. The Oriental Dwarf Kingfisher can sometimes be seen beside the lake. After breakfast you depart for the resthouse in Kithulgala, where you will spend two nights. En-route you stop at Kandy Temple, which is also called the Temple of Tooth. 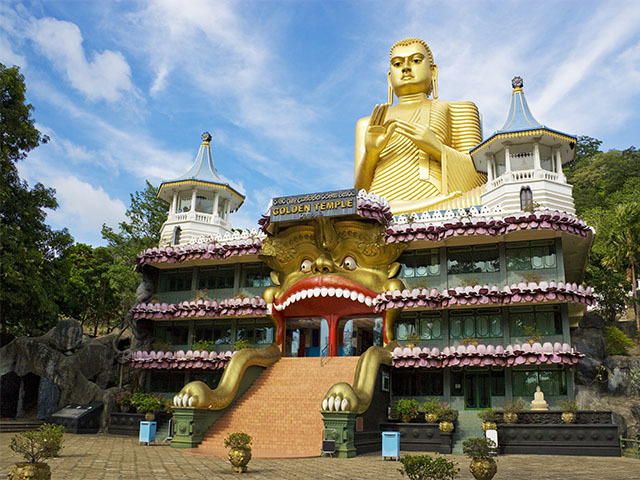 It is a holy site for Buddhists and is believed to house the sacred tooth relic of Lord Buddha. The Temple of Tooth is thus considered as the home of the most important sacred relic in the country. In the afternoon, you cross the Kelani River in a dugout canoe to reach the Kelani Valley Forest Reserve. It is a lowland tropical rainforest that is rich in endemic fauna and flora. The Kelani Valley Forest Reserve is a great place for spotting lowland endemics such as Sri Lanka Myna, Green-billed Coucal, Spot-winged Thrush, Sri Lanka Blue Magpie, Sri Lanka Spurfowl, Brown-capped Babbler and Red-faced Malkoha. After exploring the area you go back across the river and return to the resthouse. The whole of day seven will be spent birdwatching in Kelani Valley Forest Reserve. You can return to the resthouse for lunch, or carry a packed lunch along as you will wind up only in the evening. After breakfast, you head for Nuwara Eliya (approx 3 hours drive), where you will spend the next two nights. Post lunch, you head for Victoria Park in search of Himalayan migrant species such as the Kashmir Flycatcher, Pied Thrush, Indian Pitta and Indian Blue Robin. Other birdwatching highlights include the Yellow-eared Bulbul, Sri Lanka Hill White-eye and Dull blue Flycatcher. You return to our hotel by late evening. You spend one full day birdwatching and wildlife viewing at Horton Plains National Park, which is located on the southern plateau of the central highlands of Sri Lanka. The park is known for its montane endemics and offers excellent opportunities for landscape photography. Admire the Cloud Forests and look out for rare montane fauna, which includes the endemic Rhino-horned Lizard. This species was featured in Charles Darwin's monumental work on evolution. Other mammals seen here include the Bear Monkey, Giant Squirrel and Sambar. Walk though the grasslands and the Cloud Forests to a popular viewpoint known as World's End. It is an escarpment with an 870 m drop. You will also look out for endemic birds such as the Yellow-eared Bulbul, Sri Lanka Hill White-eye and Dull blue Flycatcher. After lunch, you set out on a half-day city tour of Nuwara Eliya. 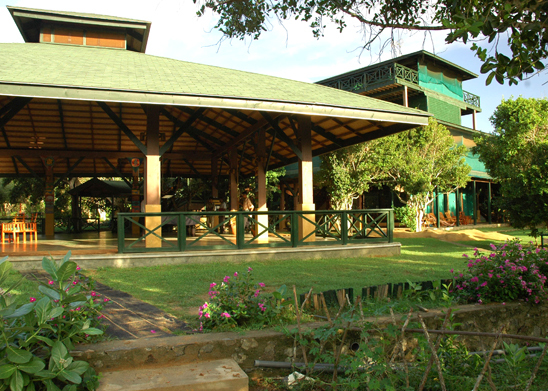 After breakfast, you depart for Yala Village, (approx 6 hours drive), where you will stay for two nights. Late in the afternoon, we visit Sithulpahuwa - an ancient monastery that dates back to the 2nd century BC. The place is famous for its rock carvings and offers a panoramic view of the forests around it. 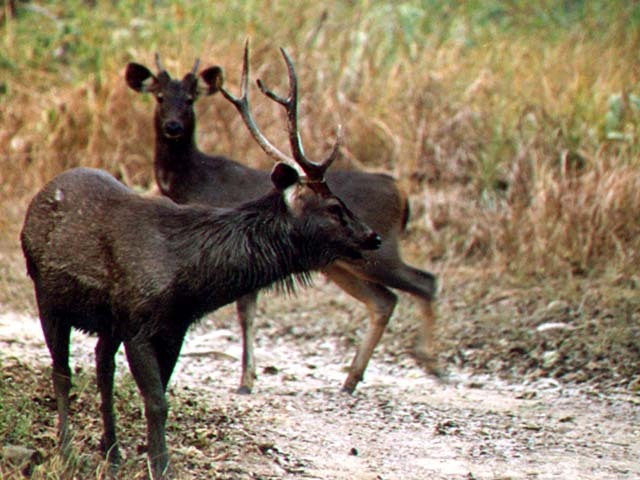 Today you go for morning and afternoon game safaris in Yala National Park. Yala, located in the southeast region, is the second largest park in Sri Lanka. It is famous for its population of Sri Lankan Elephants and aquatic birds. The mammals that are commonly seen here include the Leopard and the Sloth Bear. In addition, the Block 1 area of Yala has one of the highest densities of Leopards in the world. This park offers us one of the best chances in Asia to see and photograph the magnificent Leopards, so keep your camera handy! Other large animals that you may see include the Mugger Crocodile, Spotted Deer, Sambar, Barking Deer, Wild Boar, Wild Buffalo, Jackal, Grey Langur and Mongoose. Yala is also a great place for birdwatching. About 300 species of birds have been recorded in the park. These include the Malabar Pied Hornbill, Painted Stork, Lesser Adjutant and Black-necked Stork. Today you will be heading to Sinharaja, where you will stay for two nights. The drive to you hotel is about five hours. In the afternoon you set out to explore Sinharaja Rainforest. Sinharaja is recognized as a World Heritage Site by UNESCO. The reserve is home to lowland endemics and mixed species bird flocks. According to a study of the mixed species bird flocks, an average of 42 individual birds gather in flocks, which makes them the world's largest mixed species bird flocks! The mixed species Bird flock study of Sinharaja forest has been conducted since 1981 and is considered as the world's longest bird flock study. Birdwatching highlights include Red-faced Malkoha, Sri Lanka Blue Magpie, White-faced Starling and Scaly Thrush. You can also spot many species of butterflies. You will spend the full day birdwatching at Sinharaja Rainforest, looking for lowland endemics and mixed species bird flocks. After breakfast you leave for Katunayake (approx 4 hours drive). After checking into your hotel, you can unwind and spend the rest of the day at leisure. The tour ends today after breakfast. We will arrange for your transfer to the airport in time for your flight back home.